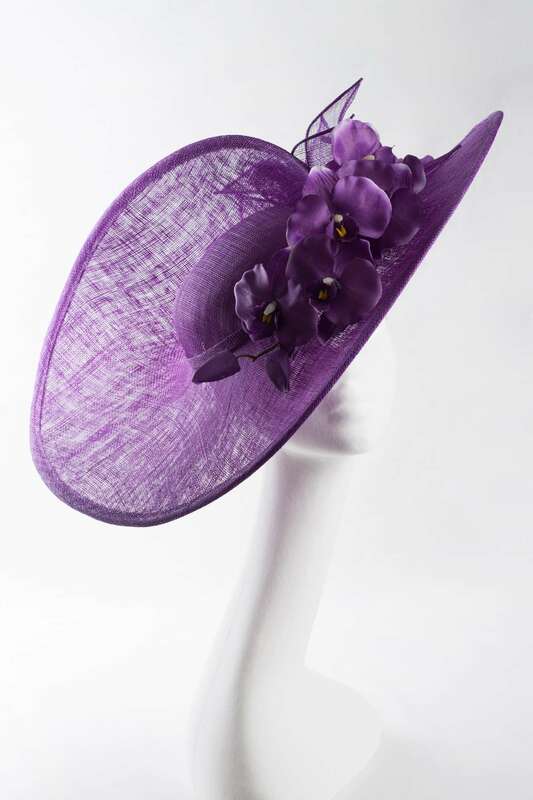 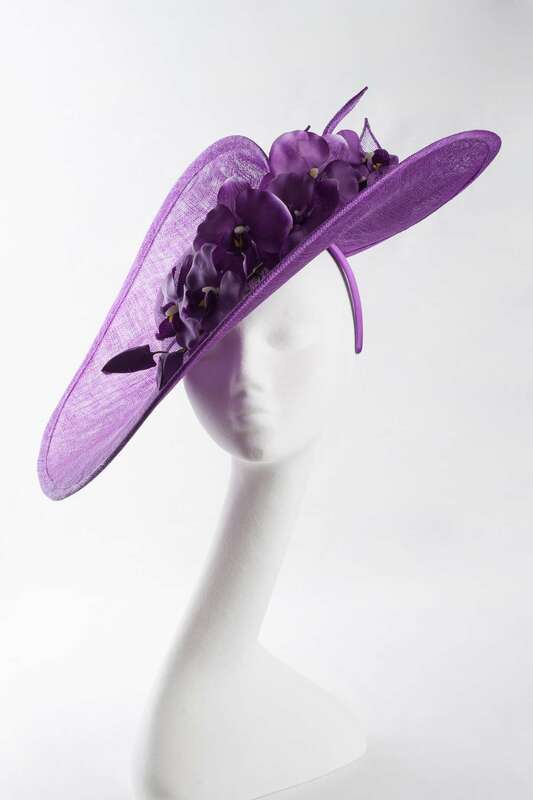 Large Split Brim Fascinator with Orchid Flower Trim in purple. 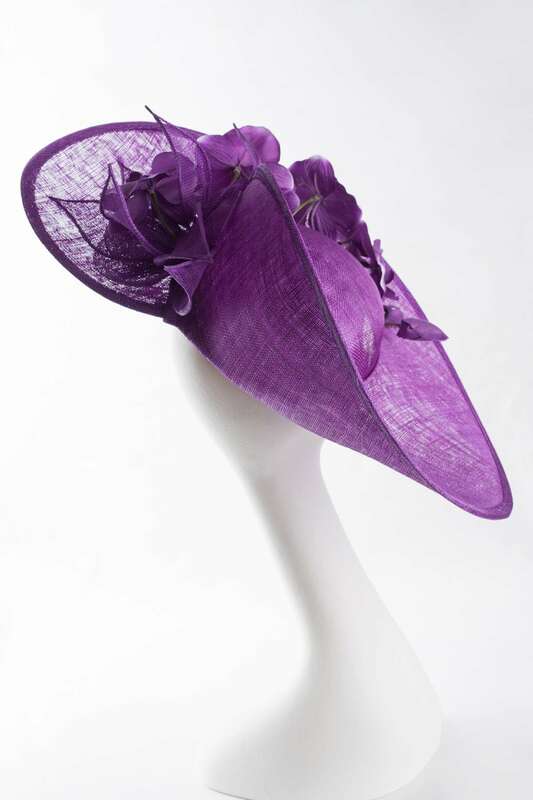 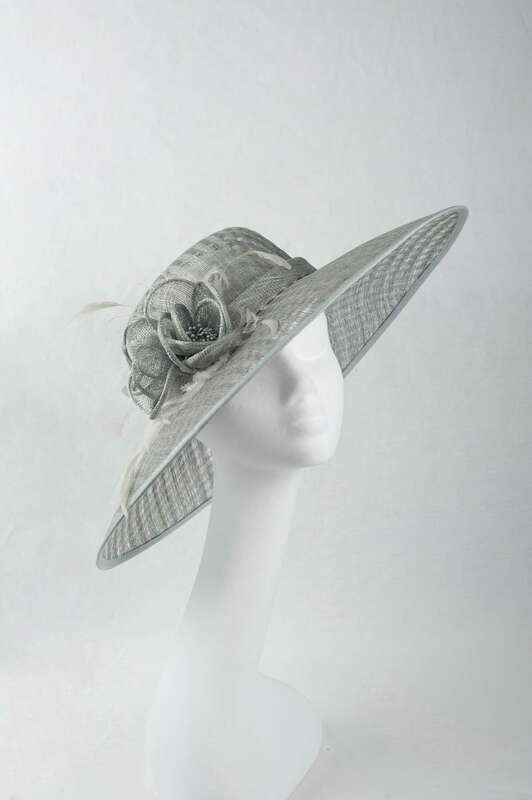 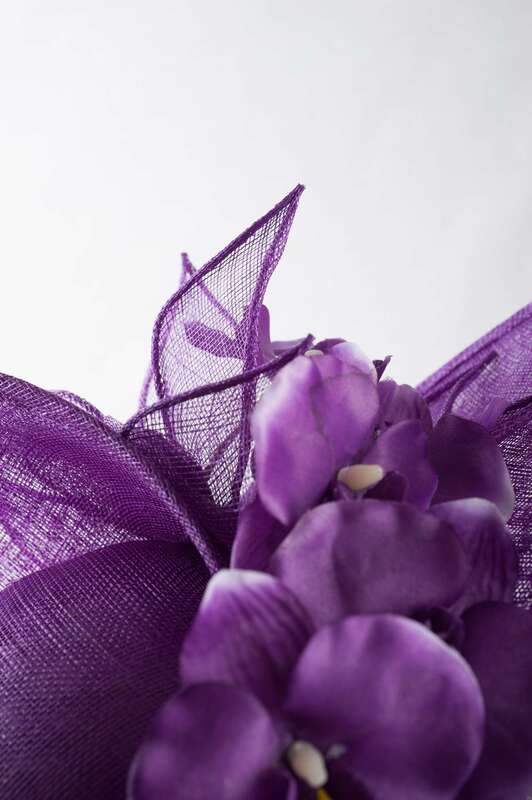 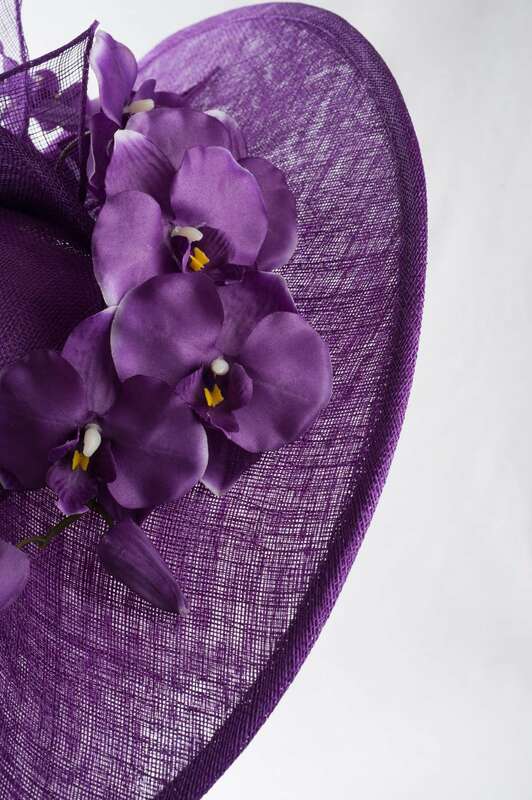 Shaped as a hat and placed upon a comfortable headband to keep its slant, it is finished with elegant orchid flowers. 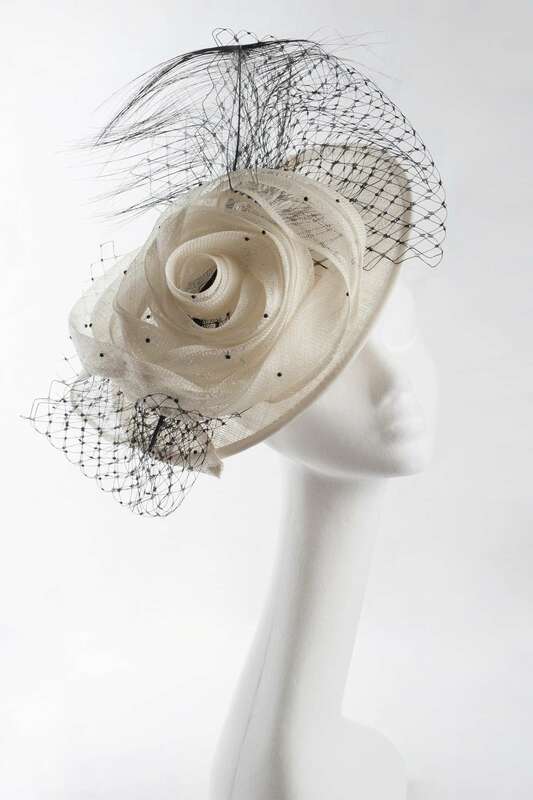 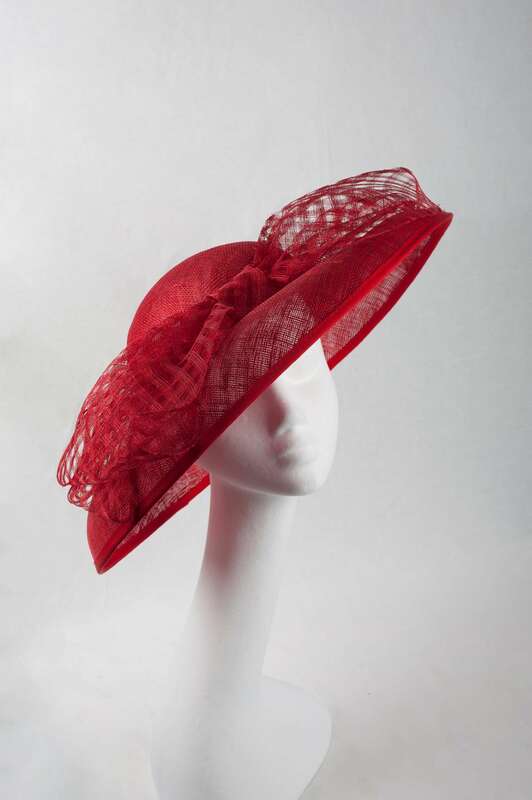 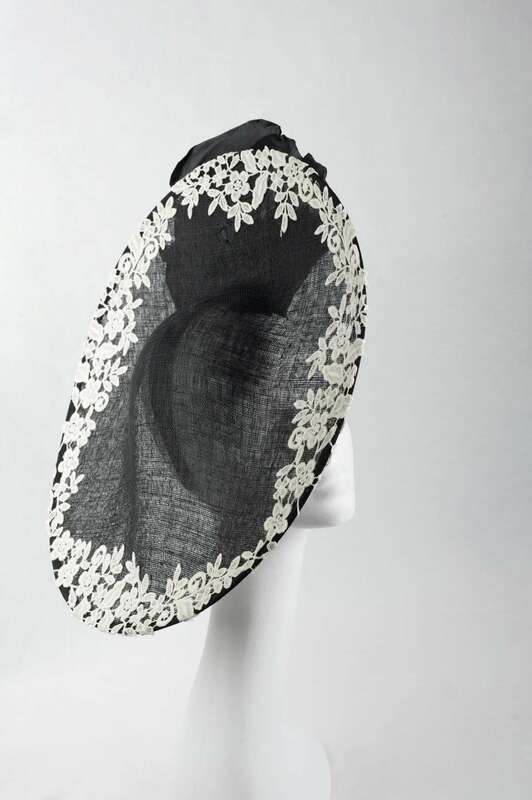 This large fascinator will serve as the perfect special occasions piece.